BEIJING, China, October 7, 2015 (ENS) – It’s been in the works for years – China has been testing a cap-and-trade carbon market with regional pilot programs, assisted by the European Union and the World Bank. But President Xi Jinping chose his first state visit to the United States late last month to announce that China would establish a national carbon market starting in 2017. President Xi made the announcement in a joint presidential statement issued by China and the United States on September 25. “China plans to start in 2017 its national emission trading system, covering key industry sectors such as iron and steel, power generation, chemicals, building materials, paper-making, and nonferrous metals,” the joint statement declares. With 1.4 billion people, China is the world’s most populous country and the number one greenhouse gas emitter. The United States is number two. A national emissions trading system works on the cap and trade principle. 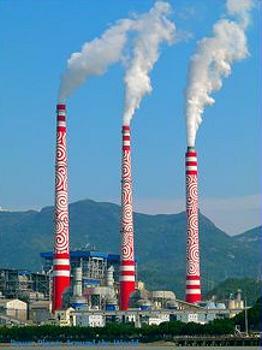 A cap, or limit, is set on the total amount of certain greenhouse gases that can be emitted by the factories, power plants and other installations in the system. The cap is reduced over time so that total emissions fall. Within the cap, companies receive or buy emission allowances which they can trade with one another as needed. They can also buy limited amounts of international credits from emission-saving projects around the world. “China is making great efforts to advance ecological civilization and promote green, low-carbon, climate resilient and sustainable development through accelerating institutional innovation and enhancing policies and actions,” the two leaders stated jointly. China will lower carbon dioxide emissions per unit of GDP by 60 percent to 65 percent from the 2005 level by 2030 and increase the forest stock volume by around 4.5 billion cubic meters on the 2005 level by 2030, according to the statement. China will promote “green power dispatch,” giving priority to renewable power generation and fossil fuel power generation of higher efficiency and lower emission levels. China will finalize next-stage fuel efficiency standards for heavy-duty vehicles in 2016 and implement them in 2019. Actions on HFCs, refrigerants that not only destroy the ozone layer but act as powerful greenhouse gases, continue to be supported and accelerated in China, including control of HFC-23 emissions by 2020, said Xi. Kyte said that “the announcement over moving to a national carbon market sends a very important signal that after the pilots that have been operating in China, the government stands behind its decision to go national.” Carbon market trials in seven Chinese locations began in 2011. The joint statement builds on the historic announcement by President Obama and President Xi on November 12, 2014 of ambitious post-2020 climate targets. It describes a common vision for a new legally-binding global climate agreement to be concluded in Paris this December that would take effect in 2020. The European Union emissions trading system, EU ETS, is a cornerstone of the European Union’s policy to combat climate change and its key tool for reducing industrial greenhouse gas emissions cost-effectively. The first, and still by far the largest, international system for trading greenhouse gas emission allowances, the EU ETS covers more than 11,000 power stations and industrial plants in 31 countries, as well as airlines. Altogether, the EU ETS covers around 45 percent of the total greenhouse gas emissions from the 28 EU countries. The EU has been providing technical training to China in advance of the launch of the new emissions trading system. “Supporting the Design and Implementation of Emissions Trading Systems in China,” the EU-China ETS Project, started on January 20, 2014, and is due to be completed by January 19, 2017. 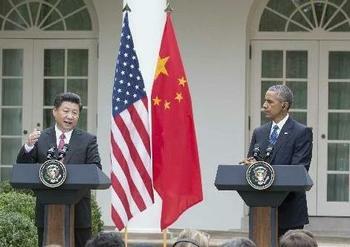 The goal of the project is to support China in meeting its environmental, energy- and carbon-intensity targets.